This lesson will show you how to change the status of a job to complete, approve and then receive payment for it. 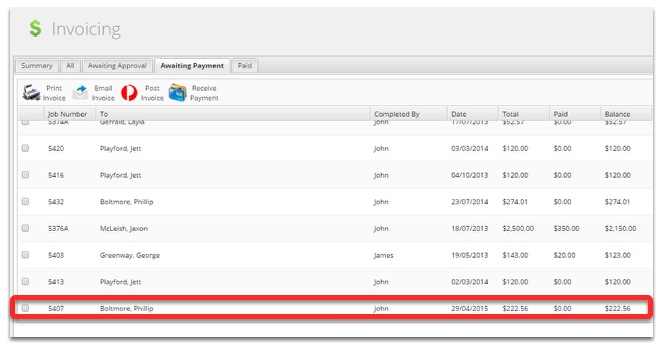 The job is now saved and will be available in the Invoicing page. 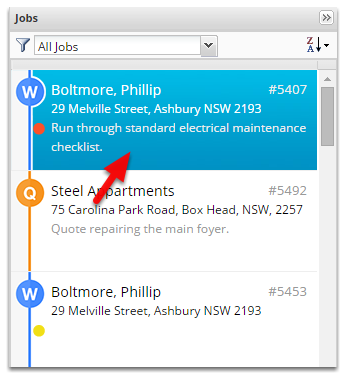 The job we just completed will be inside the Awaiting Approval tab. If your field techs don't add materials they can be added here. If your field techs add material but they need to be checked, it can be done here. A final check that your invoicing amount is correct. 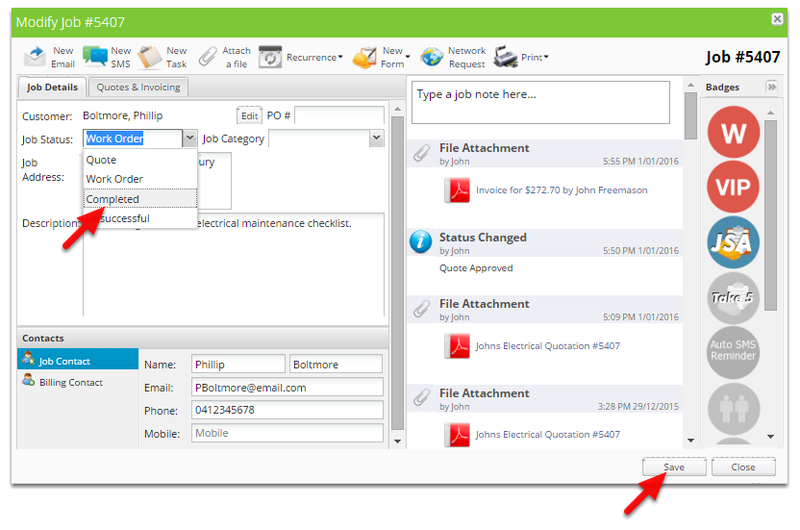 When integrated to an accounting package approving sends the invoice to the accounting package to be tracked. 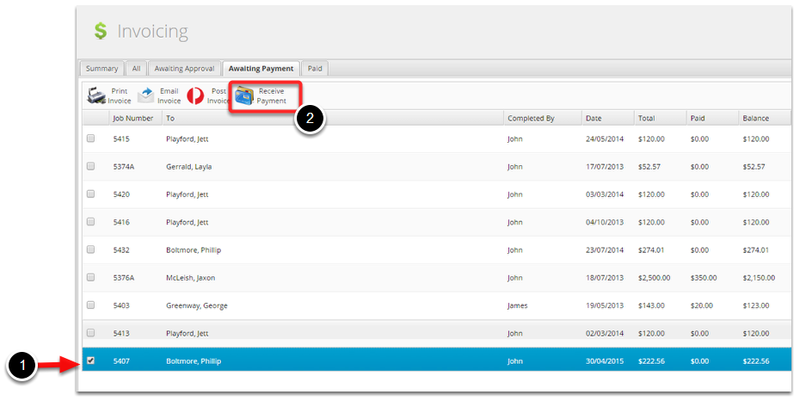 Payment Date & Method are purely used for recording purposes. 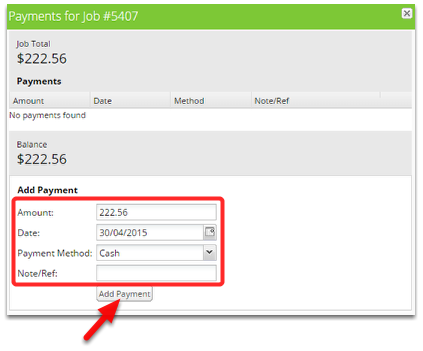 At this stage in the job the Amount field is not editable - it is possible to receive a partial payment before the job is approved. Your Done! The job has now been paid and is on the Paid tab. The job will stay on this tab for 2 weeks before disappearing.